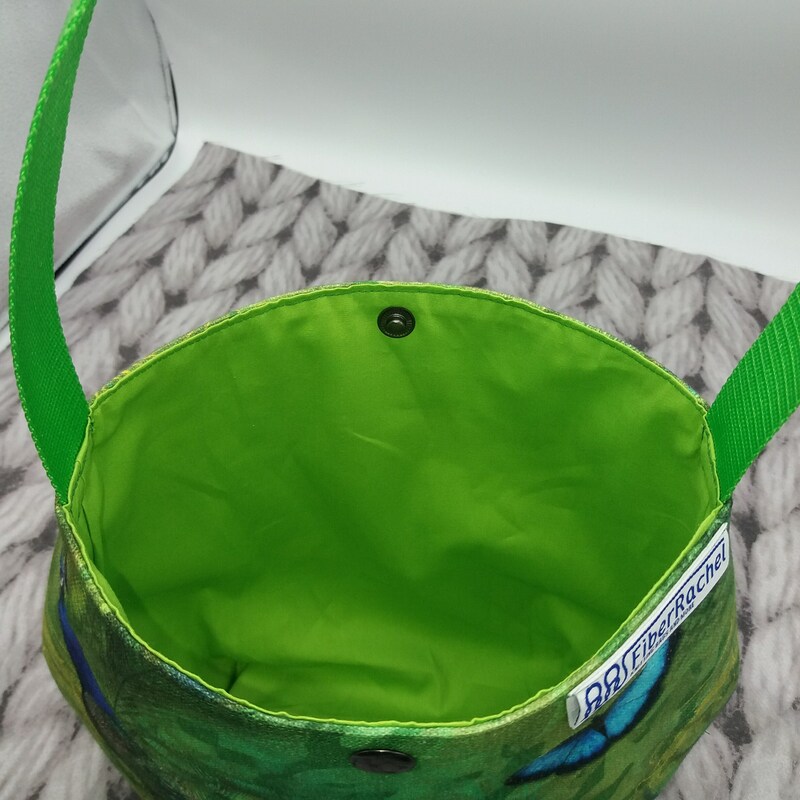 While I was working on some custom orders and was trying out various types of interfacing, I came up with this basket shape. 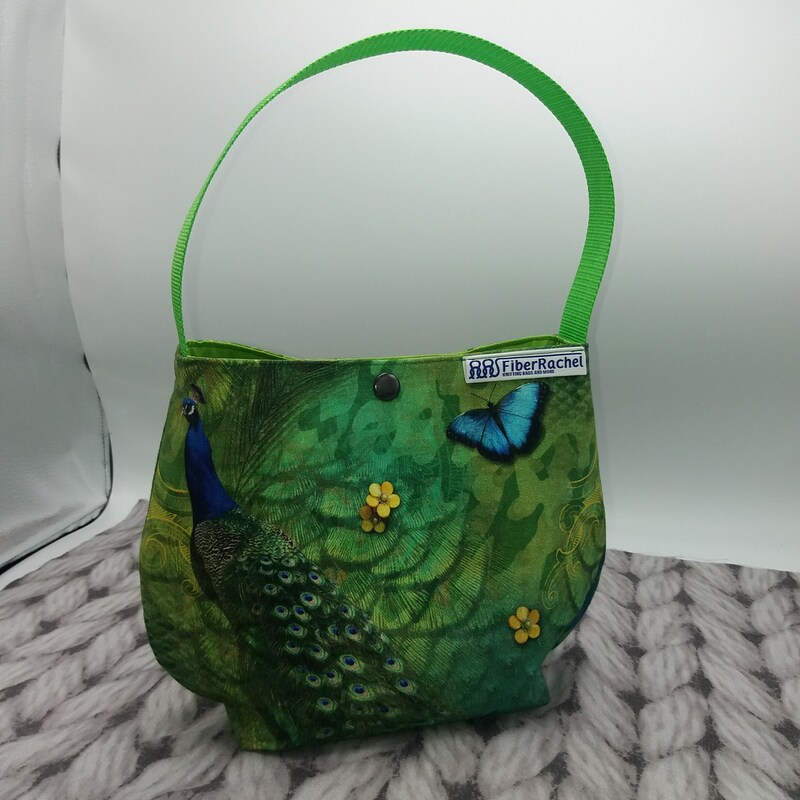 I rather like it and think I will make more of these in different fabrics. 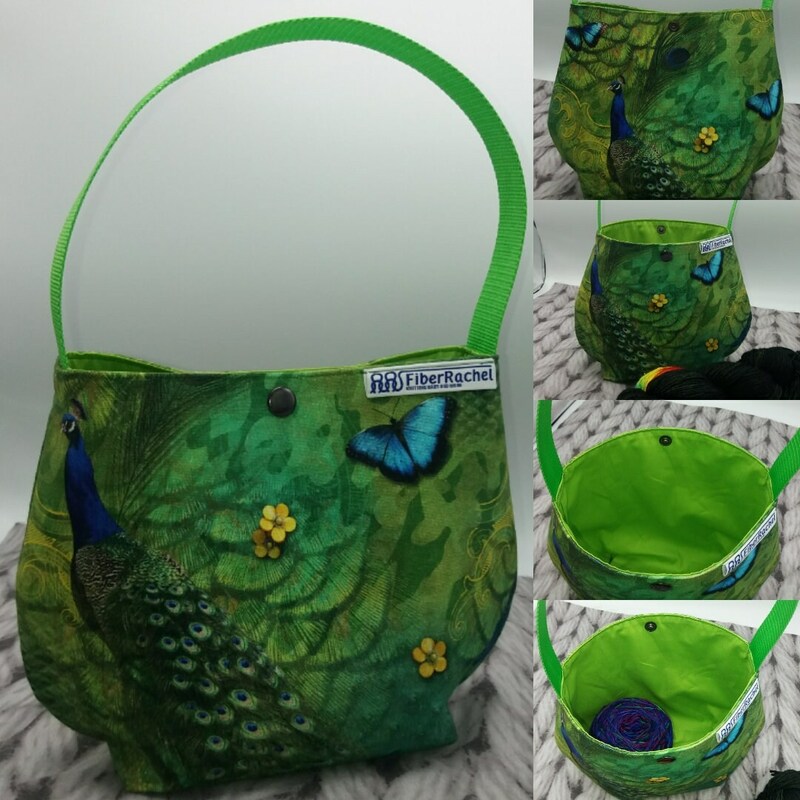 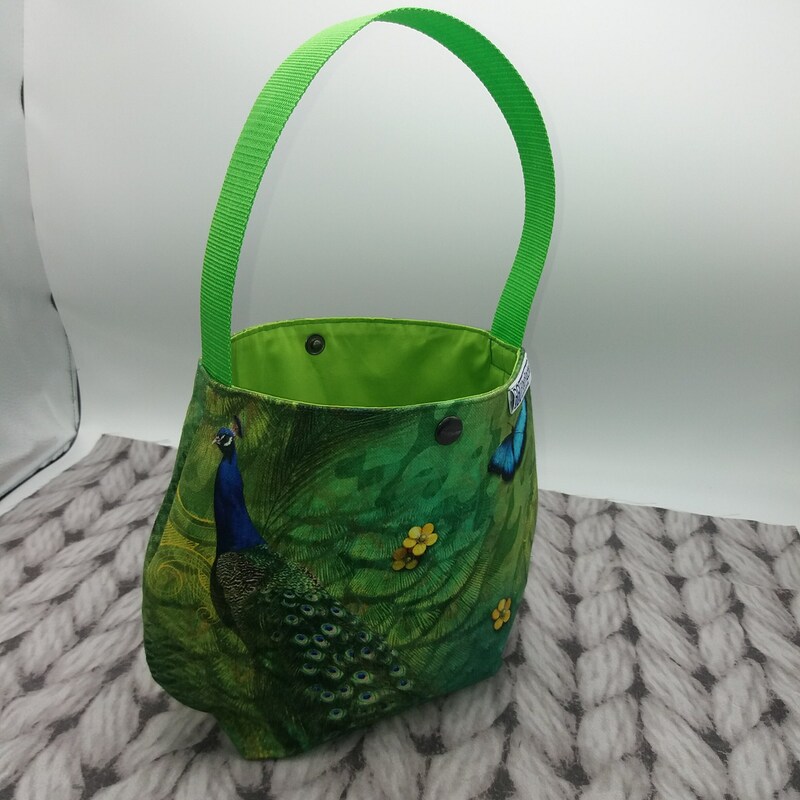 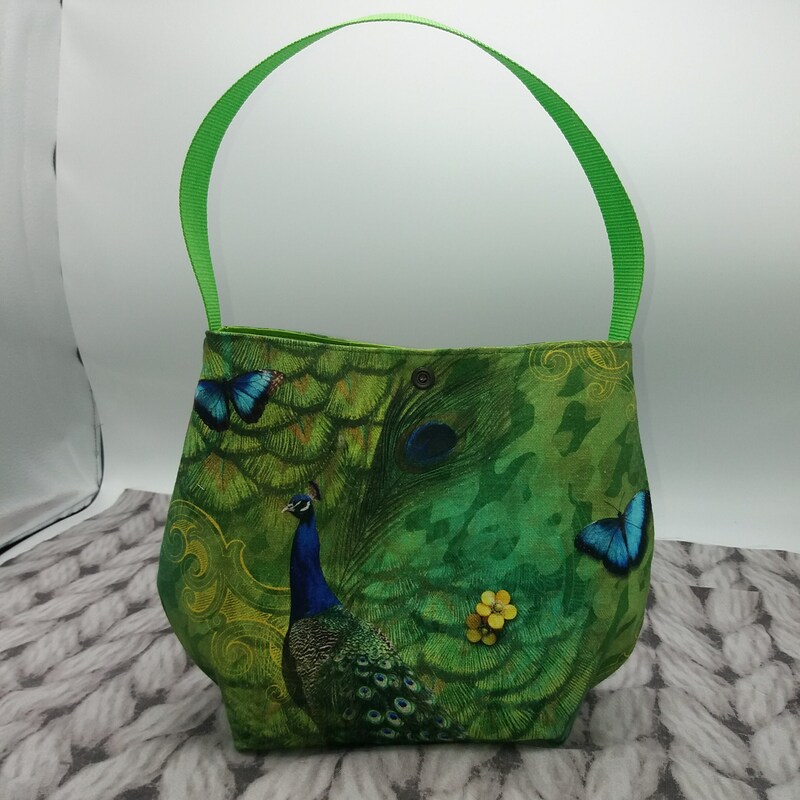 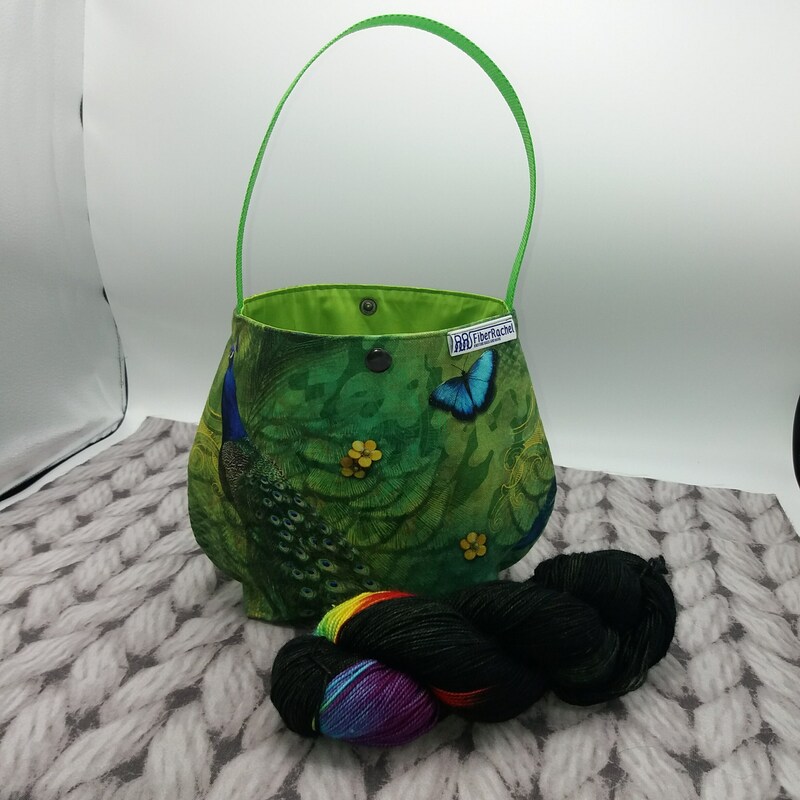 The FiberBasket is a fabric bag, basket or yarn bowl with a sturdy handle, heavily interfaced and fully lined, closing with a press button. 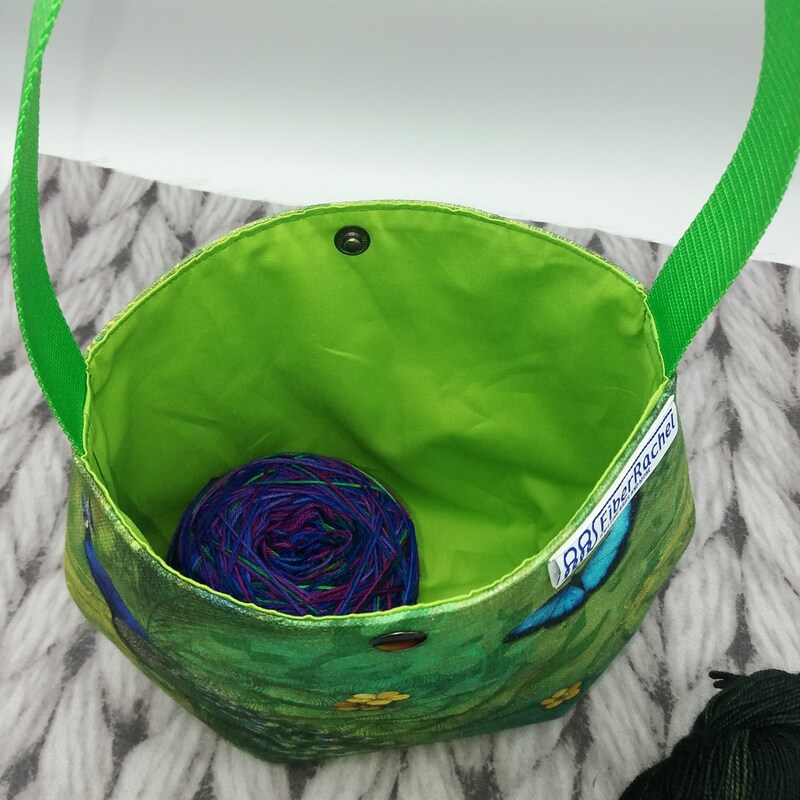 Due to the basket's construction and level of interfacing it can stand up free when empty making it useful as a yarn bowl or wrist basket for knitting on the go.